Different kinds of dressings with particular dishes are served in almost all parts of the world according to their food traditions. 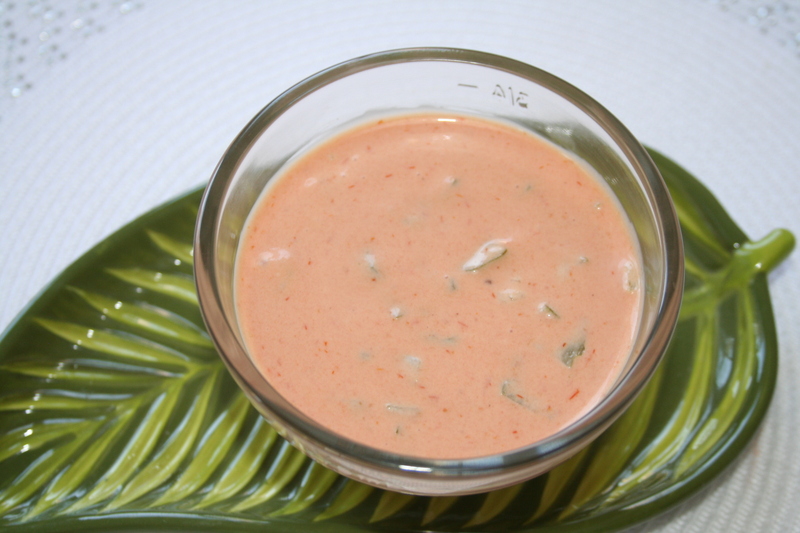 The thousand island dressing is one of the most popular type and can accompany a number of dishes, including seafood cocktails, crudités and salads. Other than that, it is also considered to be one of the finest condiments for spreading on sandwiches and burgers. With a tangy and sweet flavor, thousand island dressing is easily available in most grocery stores. However, if you desire, you can replicate that same great taste at home, saving yourself some bucks. Sweet pickle relish: 1 tbsp. Finely minced onion: 2 tbsp. The first step towards making thousand island dressing is to pour all the ingredients in a food processor or a blender. You need to blend the ingredients well until they take the shape of a pinkish and smooth sauce. In order to achieve the desired consistency, you can add a couple of tablespoons of water. You can also add salt according to your taste. Grab a medium sized container and pour in all the dressing. Put the lid over the container and close it tightly before you place it in the refrigerator. Before serving the thousand island dressing, it is highly recommended that you keep it in the refrigerator to get chilled for at least 60 minutes. After every 15 minutes, you may open the container and stir the dressing with a spoon. This will allow the sugar to get dissolved and the flavors to blend in the dressing. Your thousand island dressing is now ready to be served. Place the dressing in a small bowl and serve with a teaspoon. Keep in mind that this dressing is ideal for freshly sliced tomatoes, crisp lettuce or any kind of seafood. However, there is no hard and fast rule and you may serve this dressing with any food of your choice according to your taste.